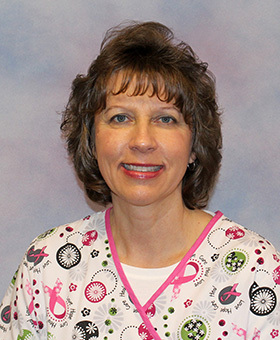 Donna Gerlach is a registered nurse and has served as Dakota Wesleyan’s campus nurse since 1999. She has an Associate of Arts-Nursing degree from Dakota Wesleyan University. She consults, assesses and treats students, staff and faculty at DWU and also provides referrals for medical concerns outside her purview.